I hosted a little holiday lunch party for the girls. For lunch, I kept it simple with soup (lobster bisque and white chicken chili) and delicious bread from Whole Foods. Every guest brought an appetizer or desert so it worked out perfectly! 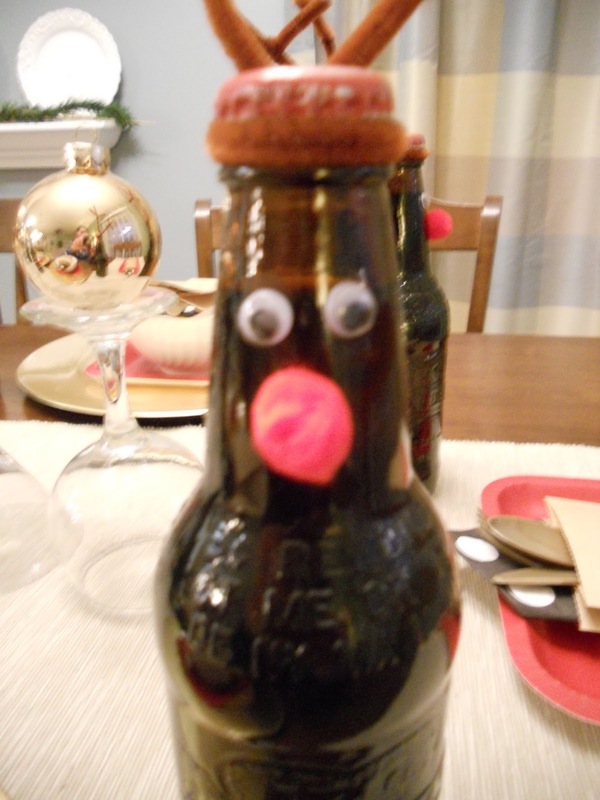 I created reindeer out of root beer bottles using pipelines, googely eyes and pom poms. This was a wonderful Pinterest find. Lastly, we did a small gift exchange. Here you see beautiful Katie posing with my package that she received in the exchange. 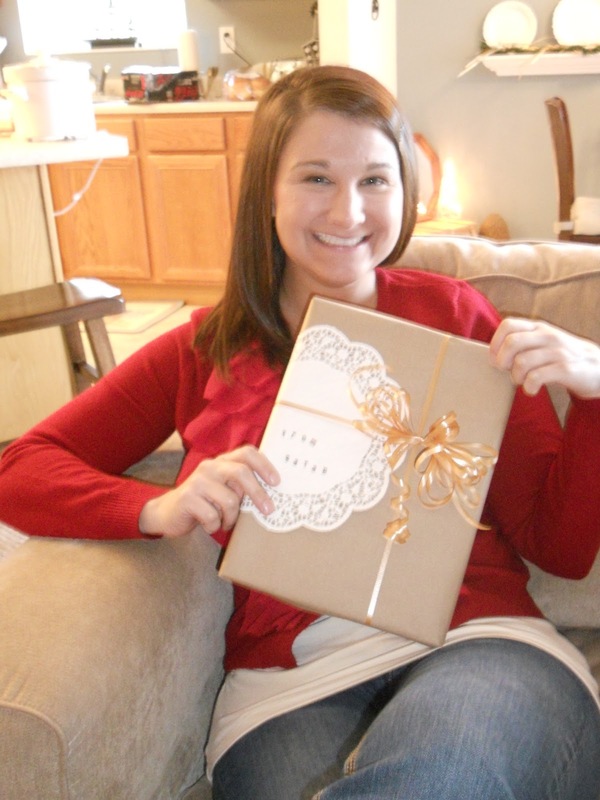 Of course, I was inspired to utilize kraft paper and doilies from a photo on Pinterest. Pretty much all my gifts are wrapped this way this year. 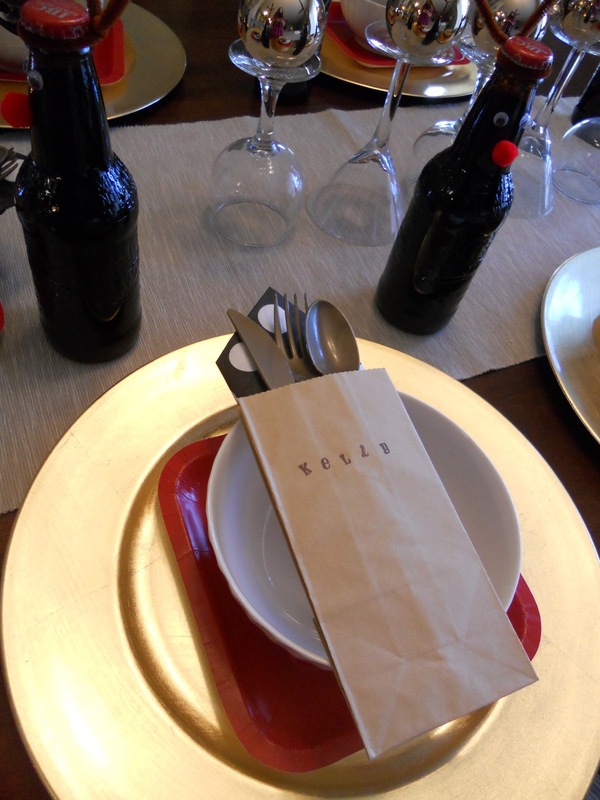 This party was featured on delicatelyConstruction's "delicately constructed fridays" feature. I love these, got all the stuff the make reinbeers today ! Tammy, I am so happy to hear you liked the reindeer. I'm sure the recipients will love them too!